Do you get too hung up on little things to accurately see a great job candidate right in front of you? 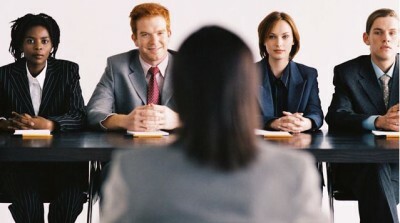 If they’re the best person for the job, but are a little late to the interview, do you dismiss them right away? This article found on LinkedIn investigates what factors into a hiring decisions including what happens to people who didn’t get hired for a dumb reason at company A, but did get hired at company B for the right reasons. Here are 15 things that absolutely don’t predict on-the-job success. Despite the obvious, companies and hiring managers still use these factors to make critical yes/no hiring decisions. First impressions. Not everyone with a good first impression is a top performer and not everyone without one, or who is initially nervous, is a bottom dweller. Even in sales, the only common predictor of future success is a track record of exceptional sales results. Gut feelings. A Rational Way to Make a Gut Decision was the subtitle of my first book. The idea was to gather as much performance-based evidence as you could to validate your gut decision. Trusting your gut too soon is a recipe for being wrong 50% of time. Generic competencies. Competency models are a fraud! Converting generic competencies into measurable results isn’t. For example, for strong communication skills say, “Present monthly update reports to the executive team.” Unless you can measure a competency from a job-related standpoint like this, it has little value. Personality-based assessment tests. Stop using DiSC, MBTI, PI and BEST to screen out candidates. At best these are confirming indicators, not predictive, and at worst, they’re preferences, not competencies. Of course they’re fine to use to better understand how candidates deal with people. FYI – the BEST test is the best of the lot. Introverted vs. Extroverted. The reason extroverted people are statistically more successful is that there are more of them. On a per capita basis there is little difference. Whether you’re introverted or extroverted is far less important than hard work, reliability and a no excuse attitude. This is true even in sales. Being on time for an interview. Give me a break. One could argue that only hungry job seekers are always on time. Although I would expect the late person to apologize since this is a sign of good team skills. Being prepared. Give me another break. One could argue that the hungry over prepare. However, the person being made an offer better be thoroughly prepared. Telling you they want the job. This depends on when they say it. If it’s before he/she knows the job, I wouldn’t hire the person. It means the candidate is non-discriminating and desperate. After he/she has full knowledge, it’s important but the reasons why are more important. Being employed or not. At least they’ll be on time if they’re not (see point 5). However, if someone is unemployed, I’d expect the person to be spending a lot of time on personal improvement, not taking time off. Being an active candidate. Most hiring managers value passive candidates and referrals over active candidates. This might be a good sourcing idea since there are more of them, but it’s not a predictor of job success. Using a behavioral interview. One or two examples of past behavior do not predict future performance. Past performance doing comparable work in a comparable situation with a comparable manager does predict future performance. A continuous track record of growth in past behavior doing comparable work predicts future behavior doing similar work. Cultural fit. Unless defined exactly, this is another term for “hiring in your own image,” which is PC for anti-diversity. Success working with different people in different situations for different managers is a better predictor of cultural fit. Academic credentials. Being smart enough to do the work is a strong predictor of success. However, those who are too smart often overthink a problem and those who aren’t smart enough under-think it. Level of experience. The bottom half is filled with lots of experienced people who achieve average results. The best people – those in the top half -get promoted faster, are assigned bigger projects ahead of their peers and get more done in less time. As a result, they have less experience. Strong statistical correlation. High correlation between two factors doesn’t mean one caused the other. For example, it’s likely that a behavioral interview is more accurate since it’s structured, and, as a result, it increases objectivity. If so, any means to increase objectivity will be just as effective. Hiring stronger people starts by stopping doing these 15 things. Unfortunately, stopping doing the wrong things is more difficult than doing the right things.